Hillsborough County Sheriff’s Office detectives are seeking the public's help identifying these two men. Two men stole $460 worth of condoms and family planning materials from a Tampa CVS, authorities said. Hillsborough County Sheriff’s Office detectives are asking for the public’s help identifying the two suspects, who they said swiped the condoms and other goods from the convenience store at 8603 West Hillsborough Ave. on Tuesday, Nov. 26 at about 2:48 p.m. 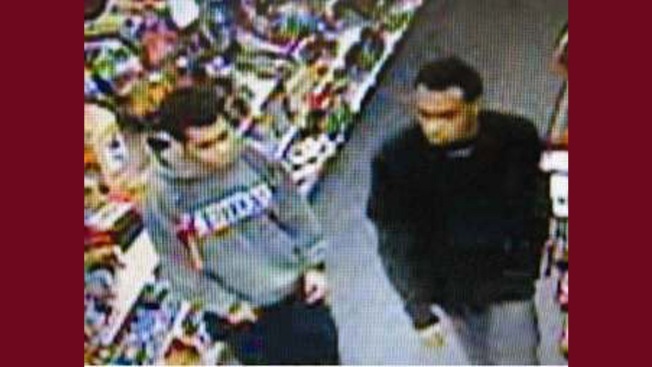 The shoplifters put the items in a backpack and left without paying, the sheriff’s office said. The suspects are connected to a newer model four-door white or silver Honda, according to the sheriff's office. Authorities ask anyone with information on the suspects to call the Hillsborough County Sheriff’s Office at 813-247-8200 or to call Crime Stoppers at 1-800-873-TIPS.